The Roman Theatre of Orange (French: Théâtre antique d’Orange) is a Roman theatre in Orange, Vaucluse, France. It was built early in the 1st century AD. The structure is owned by the municipality of Orange and is the home of the summer opera festival, the Chorégies d’Orange. It is one of the best preserved of all Roman theatres, and served the Roman colony of Arausio (or, more specifically, Colonia Julia Firma Secundanorum Arausio: "the Julian colony of Arausio established by the soldiers of the second legion") which was founded in 40 BC. 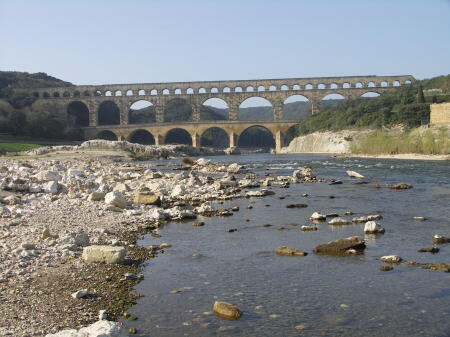 The nearby Pont du Gard, 20 miles from Nîmes, also built by Agrippa, is a well-preserved aqueduct that used to carry water across the small Gardon river valley. It was long thought that the Pont du Gard was built around the year 19 BC. Newer excavations, however, suggest the construction took place in the middle of the first century A.D. Its construction is attributed to Augustus’ son-in-law and aide, Marcus Vipsanius Agrippa. 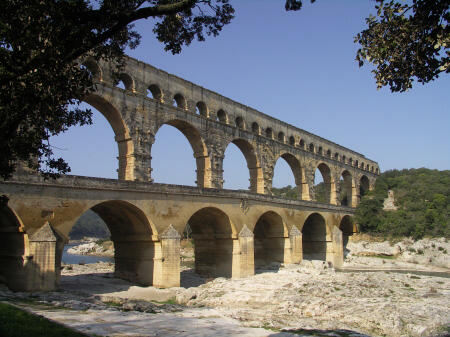 Designed to carry the water across the small Gardon river valley, it was part of a nearly 50 km (31 mi) aqueduct that brought water from springs near Uzès to the Roman city of Nemausus (Nîmes). 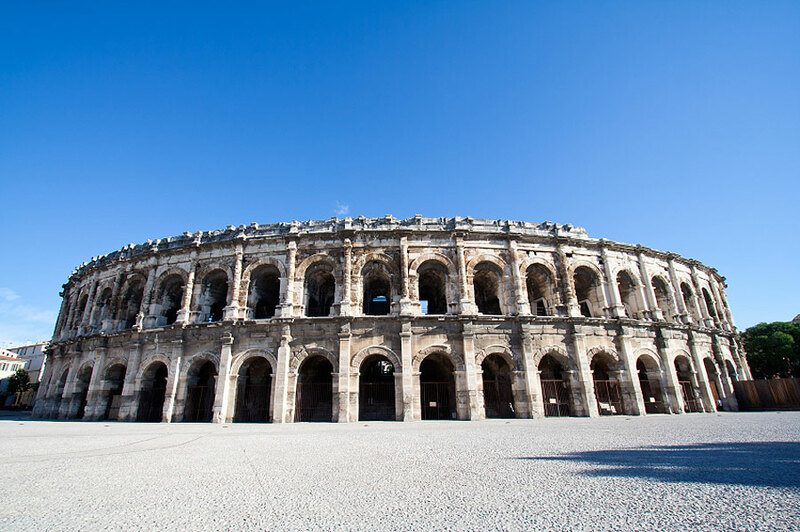 Considered as the french rome, Nîmes has a rich history, dating back to the Roman Empire. 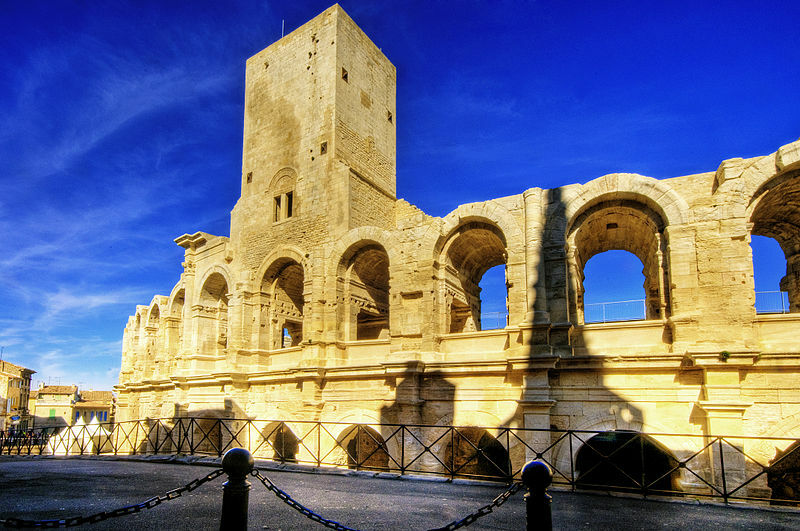 The elliptical Roman amphitheatre, of the 1st or 2nd century AD, is the best-preserved Roman arena in France. It was filled with medieval housing, when its walls served as ramparts, but they were cleared under Napoleon. It is still used today as a bull fighting and concert arena. The Maison Carrée (Square House), a small Roman temple dedicated to sons of Agrippa was built c. 19 BC. It is one of the best-preserved Roman temples anywhere. "The Rhone is not a long quiet river but it keeps in its memory a part of the history of Arles. It is written in fragments, marble vessels, amphorae and ceramics "
In 46 B.C., in order to thank Arles for its help in his struggle against Marseille, Pompeii’s ally, Julius Caesar settled the veterans of the 6th legion there. Arelate ("the settlement near the swamp") was raised to the rank of colony.